Heian Kata, composed by Sensei Ankoh Itosu in 1905, consists of five katas – from Heian Shodan, Heian Nidan, Heian Sandan, Heian Yondan to Heian Godan. 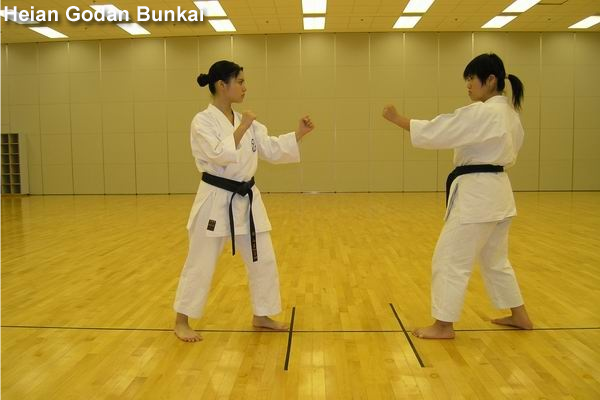 At that time, it was widely practiced as martial arts by middle-school students in their sports lessons. 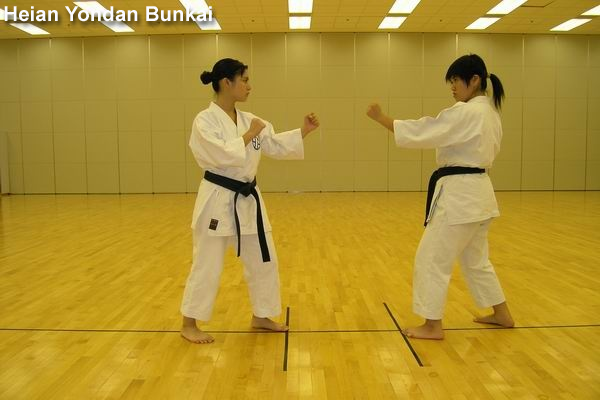 In general practice, a blocking technique is always adopted as the first move in katas. 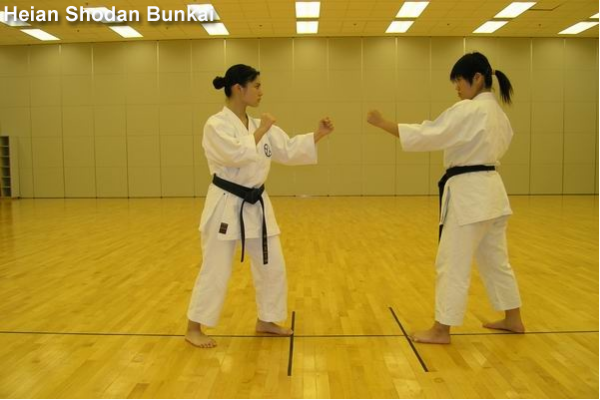 The main reason, or message, behind this practice is: the basic function and value of Karatedo is for self-defence, not for aggression. This is a lesson from our ancestors that we shall never forget. As a matter of fact, the word “Heian” embraces the meaning closely associated to the notions of “endure the peace, repel aggression”. 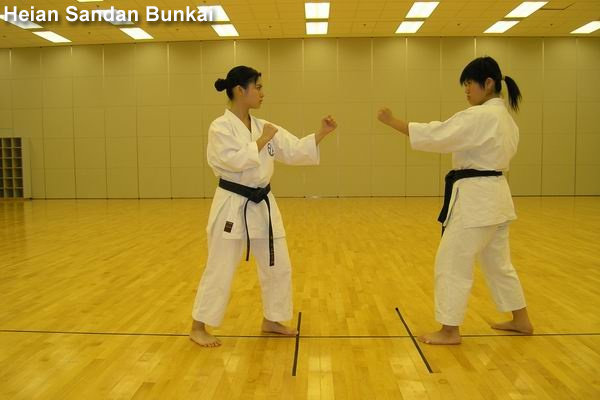 Basic attacking and sparring techniques constitute the skeleton of Heian katas. Based on these techniques, modification and refinement were further adopted, then the full forms of these katas were resulted. 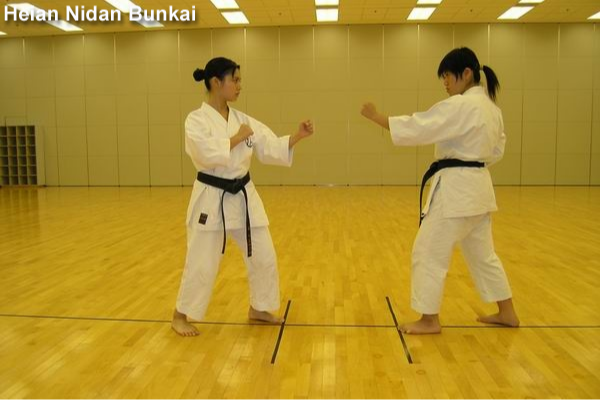 Nowadays, Heian katas are commonly practiced among students of white-belts, yellow-belts and green-belts, as these katas are ideal for beginners to understand the practice and notion of “Form” in Karatedo. 3. Shifting of the center of gravity of the body.